Being the head student, I used to send students out of school to find clean water for teachers and kitchen purposes. Today, the students don’t go out. They have time for studies hence an improvement in their academic performance. A year ago, generous donors helped rehabilitate a well with Namushiya Community in Western Kenya. Because of these gifts and contributions from our monthly donors, partners can visit project sites throughout the year, strengthening relationships with communities and evaluating the actual water project. These consistent visits allow us to learn vital lessons and hear amazing stories – we’re excited to share this one from our partner, Paul Weringa with you. People living in Namushiya no longer suffer from typhoid and cholera thanks to the overhaul of this water point. Before the rehabilitation, it was an open hole in the ground completely susceptible to contamination – especially since it was right under the shade of several trees. Now it is protected by a well pad and easily accessible thanks to an AfriDev pump. 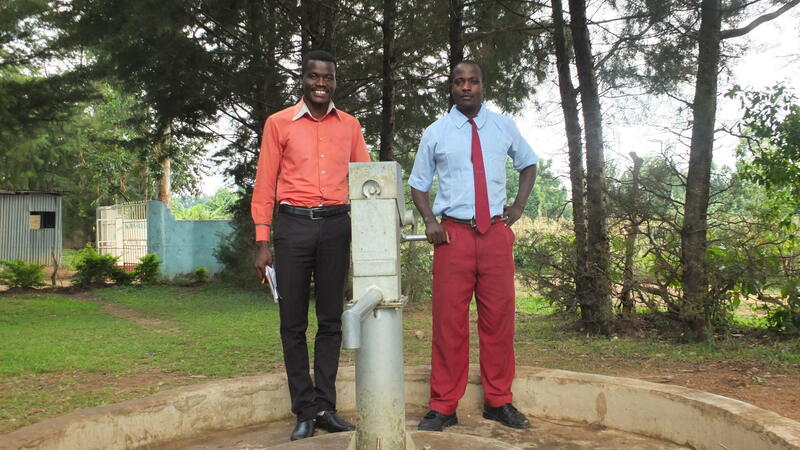 Below is a video of two primary students who came to the well to wash their bowls after lunch. 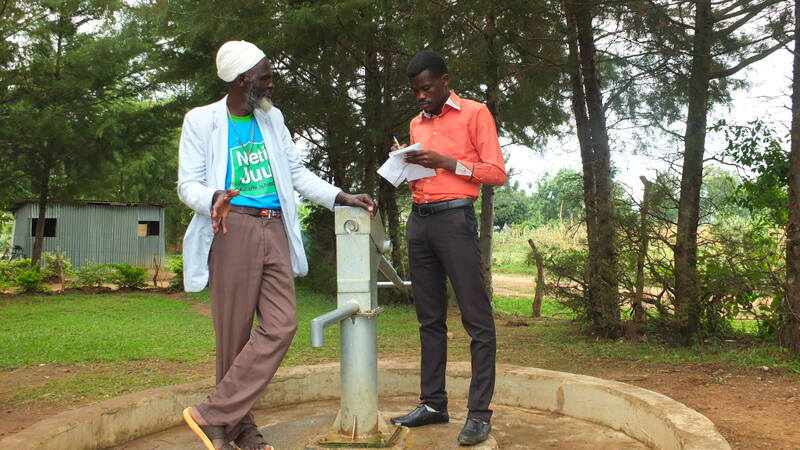 We met with the well’s caretaker, Isaak Lunani. “The outbreak of these diseases had an effect on our lives. Young children lost their lives, our little money was spent on medication and funeral expenses, worsening the level of our poverty. The performance of children in school has improved. As we all know that when a child is sick, their performance is affected. This was the case here when the children complained of stomach pains. But today, they have enough time to spend in class and with their teachers. The project has also brought cohesion between the school, churches and community. No conflicts,” he shared. Paul and Manoa at the well. Manoa Nyamu is a 17-year-old student of nearby Namushiya Secondary School. 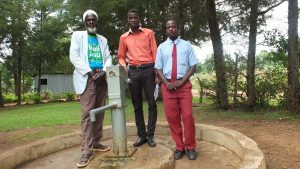 He reports that the entire school relies on this clean water source. “Initially, I used to carry drinking water from home because the hole here had dead things that contaminated the water. Since its rehabilitation, life has become easier for me in school. There is a great improvement in my studies. Being the head student, I used to send students out of school to find clean water for teachers and kitchen purposes. Today, the students don’t go out. They have time for studies hence an improvement in their academic performance,” he said. When you invest in The Water Project, you're investing in people like Manoa Nyamu. Your gifts help us reach more communities with the gift of clean, safe water. And every drop helps unlock potential.